This Preface by Archibald Alexander’s appeared in the 1833 edition of the Memoirs of Thomas Halyburton. All the truths necessary to the illumination, sanctification, and consolation of Christians, are contained in the sacred scriptures, and are exhibited in divers ways, and under many different aspects. Divine truth is to the mind, what light is to the eye: it reveals to us all those objects with which it is important that we should be acquainted. It is impossible that error, however sincerely believed, should answer the end of truth. Right affections are so intimately associated with the belief of the truth, that there is an absurdity in supposing them to exist without this foundation. Every divine truth revealed in scripture is calculated, either singly, or in connection with others, to make a salutary impression; but when any part of the system of divine truth is obscured by ignorance, or distorted by error, there will be a corresponding defect in the moral exercises of the individual. The relation of sound doctrine to pious feeling and moral character, may be compared to that between the types used in printing, and the impression on the paper. If there be any defect or disorder in the types, it will appear on the corresponding page. It may not be such as to destroy, or entirely obscure, the meaning of the whole passage; but still it is the cause of a defect, which mars the beauty of the impression; and often renders the sense uncertain. I am of opinion, that no Christian can be in ignorance or error respecting any portion of revealed truth, without injury. The precise evil we may be unable to define; it may be imperceptible, yet it has its effect on the system. Obliquities in moral conduct, if we were capable of ascertaining their cause, might often be traced to errors in opinion. It is evident, therefore, that he who trifles with the truth, trifles with his own life. To be indifferent about truth, is a folly of the first magnitude. To be governed by mere inclination, taste or fashion, in the adoption of our religious opinions, is indicative of a diseased and dangerous state of mind. Truth is so vital, and so necessary to the existence and perfection of a pious character, that we cannot be too solicitous to acquire correct knowledge. Pride, prejudice, and partiality, should be laid aside, and the love of truth should be kept alive in our souls. Mere intellectual vigor, and extensive erudition, are no effectual security against error. Honesty and deep humility are essential prerequisites to the successful pursuit of truth. As the truth makes an impression on the mind in accordance with its own nature, and modified by the various circumstances of individuals; and as these salutary effects taken together, constitute the Christian character, and furnish the only certain evidences of a work of grace on the heart, it is of immense importance to be able to delineate, and ascertain, with as much precision as possible, these characteristics; that we may know, in our own case, and that of others also, whether spiritual life has commenced, and is progressive in our souls. Now, as in water face answereth to face, so the heart of man to man. The impressions of truth on different minds will be substantially alike. There will indeed be varieties arising from the degree of knowledge, and the peculiar temperaments and habits of individuals; but these minor differences will not affect the general similarity. Though in one case the impression made by the seal is deeper and more distinct than in another; yet by comparing them, we may be able readily to conclude, that they have been produced by the same seal. Thus, when the truth of God is made effectual by the Holy Spirit, to regenerate and sanctify the hearts of men, there may be, and are, endless varieties in the minor traits, but the leading features are the same in all. It will be seen, as far as these effects can be made evident, that they are all the children of the same father, and all bear the family likeness. The great difficulty in this business, is to ascertain the precise nature of the effects produced. In regard to our own minds, this investigation is attended with no small perplexity; but in relation to others, the subject does not admit of absolute certainty. One man, however perspicacious and discriminating his intellect, and however well acquainted with the word of God, and with the genuine impression which it makes when it takes effect, cannot directly examine the sentiments and feelings of another. He can only form an opinion of what is in the hearts of others, by their words and actions: but the same words may be used, and the same external appearances exhibited, when the internal exercises of the soul are specifically different. For example, a man may declare that his heart overflows with love and gratitude to God, or that he is full of the joy of the Holy Ghost, and godly sorrow for sin, and yet all this may be said in hypocrisy; or what is more common, the person may be conscious of feelings, which, through ignorance, he calls by these names; and yet the emotions which he experiences may be mere counterfeits of those graces, the names of which he appropriates to them. The scriptures furnish us with many clear delineations of the exercises of the true believer. These are our safest guide, and only unerring standard of experimental religion. By meditating by day and night on the contents of the sacred pages, we may become so familiar with the characteristics of genuine piety, that we may find it easy to determine, that the same lineaments have, in some faint degree, been drawn on our own souls. But in examining into our true character, we may be much assisted by reading the memoirs of men of distinguished judgment and eminent piety. Many such works are now in circulation, and are adapted to promote, in a high degree, the edification of the reader; but I am acquainted with no production of this kind, in which the exercises of the human heart, both before and after regeneration, are so distinctly described, as in the following biography of the Rev. Thomas Halyburton, written by himself. We have here the faithful narrative of the views, feelings, conflicts, temptations, victories, and consolations of a man of eminent piety, and uncommon soundness of judgment, made at a period when he was most capable of forming an impartial opinion. He has portrayed the unregenerate heart in its deceitfulness and corruption, without disguise. From his own experience, he clearly testifies the inefficacy of a religious education, while unaccompanied by the grace of God. He, in the next place, teaches us, how powerfully the truth of God operates on the natural conscience, and how strongly it restrains even the unregenerate heart, from rushing into all the excesses of wickedness. Under the light of truth, and the lashes of a guilty conscience, the soul naturally seeks some refuge, some place where it may be sheltered from the thunderings of mount Sinai. 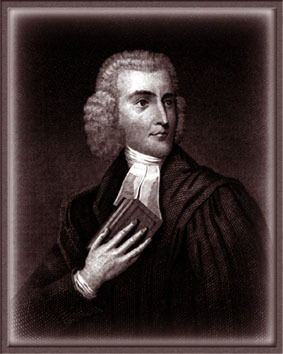 The distinct and satisfactory narrative which the author gives of the changed views and exercises of his mind, at the time of his conversion, and afterwards, ought to be deeply pondered by every professor [i.e., professing Christian]; but especially, by all candidates for the sacred office. While, in our day, conversions are multiplied beyond all former precedent, there is much reason to fear, that many of them will not bear to be brought to the touch-stone of God’s word. With many, conversion has become a slight and easy thing, the mere hasty purpose of an hour; and unaccompanied by those deep views of depravity, and those soul-comforting views of Jesus Christ, which are here described. The consequence is, that multitudes who profess conversion, do not exhibit, in any satisfactory degree, the spirit of Jesus Christ, in the meekness, humility, benevolence, and self-denial of their character. There is much reason to suspect, that in the religion of many who now enter the church under a momentary excitement, Christ has no place. They speak nothing of the spiritual glory of the Mediator, in the account which they give of their experience. Their exercises would seem to have as little relation to the distinguishing doctrines of Christianity, as to those of the Koran. Of what account is it that multitudes cry, Lord, Lord, and yet do not evince, that they are truly born of God? Their zeal, their bustling activity, and their flaming profession of attachment to the cause of Christ, will answer no purpose, while they indulge a self-sufficient, self-righteous, censorious, and turbulent spirit. Between the fervors of fanaticism, and the glow of holy benevolence, the difference is immense. The one is the wild fire which consumes and desolates the church of God; the other is like the hallowed flame on the altar of God, which causes a sweet odor to ascend to heaven, with all the sacrifices which are offered. In these memoirs, we have, also, a fuller and more particular description of the conflict between light and darkness, faith and unbelief, sin and holiness, than can readily be met with elsewhere. Many sincere believers have sad experience of the power of atheism, and the buffetings of Satan, and they often meet with but little sympathy or relief, from books or preachers. In consequence, they are tempted to think that their case is altogether peculiar, and are ready to sink into hopeless discouragement; believing, that their “spot is not the spot of God’s children”; but fearing, lest these temptations and conflicts are the mark of his reprobation. Let such take comfort when they read, what dreadful conflicts with unbelief, pride, and atheism, were endured by this distinguished servant of Jesus Christ. There are two kinds of knowledge displayed, in a remarkable degree, in this book: the one is the knowledge of the Holy Scriptures, in their application to the various conditions and exigencies of believers; the other, an extraordinary insight into the deceitful windings, doubtings, and complicated foldings, of the human heart. I see not how any one who is sincerely desirous of knowing what he is, and what the word of God requires him to be, can rise from the perusal of this little volume, without real and sensible benefit. There is a penetrating power in the words of a man who believes, in good earnest, all that the word of God relates, and speaks the sentiments of his inmost soul. The circumstances attending the death of this distinguished man, are such as to attract the attention of every reader. His dying words were faithfully recorded at the time, and they serve to show, in the clearest manner, the power of the gospel, to inspire with confidence, the soul of the believer, in the last conflict. The triumphs of faith, in this case, were signal and glorious. Through all his sickness, his reason remained undisturbed. In the whole scene there seemed to be less than usual of an excited imagination; but the realities of the eternal world, were contemplated soberly, by a steady faith. When first seized, his evidences were clouded, and his conflict with his spiritual enemies, tremendous; but in a short time, the storm passed over, the clouds were dissipated, and the clear sun-shine of divine favor dawned upon his soul. From that time, he enjoyed uninterrupted peace, and unwavering assurance, until he fell asleep in Jesus. I do not know that I have ever read a narrative of the last moments of any saint, which were to my mind more satisfactory; or of any death which was more in accordance with the exceeding great and precious promises of God. I have read of exercises of a more ecstatic and rapturous kind, but never of any, where the comfort and confidence of the person, seemed to depend more entirely on the simple, sober exercise of faith. Who will not exclaim upon perusing this narrative, “let me died the death of the righteous, and let my last end be like his”! A. Alexander, Princeton, N.J., May, 1833.